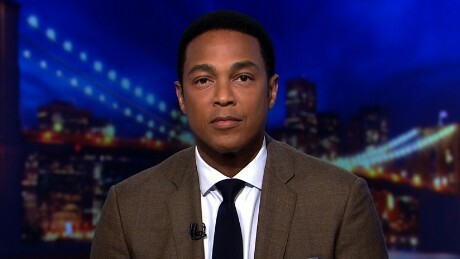 CNN’s Don Lemon lost his mind on Thursday when a conservative political commentator pointed out that Hillary Clinton’s emails were found on the laptop of convicted child sexual predator Anthony Weiner, screaming at him and ending the segment before he could continue. “There are a lot of people that feel like that there was special treatment that was given to people that worked for Barack Obama, and things that they did that they would have been indicted for if they were Republicans,” said talk radio host and CNN political commentator Ben Ferguson. It was at that point that CNN’s Lemon lost it, screaming “no!” nine times in a row before calling for the segment to be cut for a commercial break. 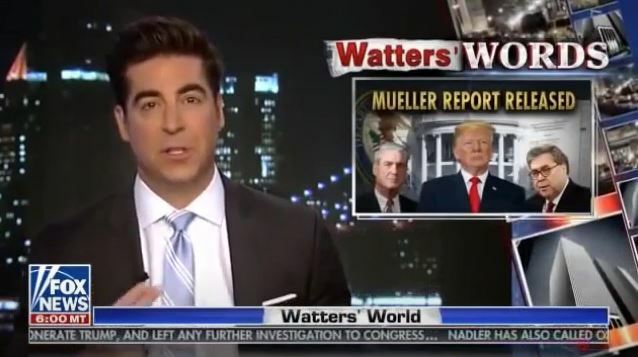 Fox News personality Jesse Watters, who hosts the show, “Watters World,” and is a big supporter of President Donald Trump, said Saturday that Democrats are angry that Robert Mueller found out that Trump is not a Russian agent. Watters made the remarks Saturday as part of his opening remarks, during his weekly show on Fox News Channel. “[He] was fighting back against their false allegations,” he continued. This was an attempted take-down or Coup D’Etat!
. 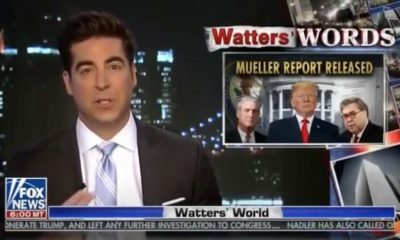 @JesseBWatters: "Mueller found [President Trump] wasn't a traitor after Democrats for two years falsely accused him of being a traitor. Instead of being relieved, they're angry." "[He] was fighting back against their false allegations." President Trump’s former campaign manager Corey Lewandowski said Friday on Fox News that he did not receive a request from the president to help fire Special Counsel Robert Mueller. Mueller alleged in a report of his findings released on Thursday by Attorney General Bill Barr that the president asked for Lewandowski to help with getting Mueller terminated as Special Counsel. 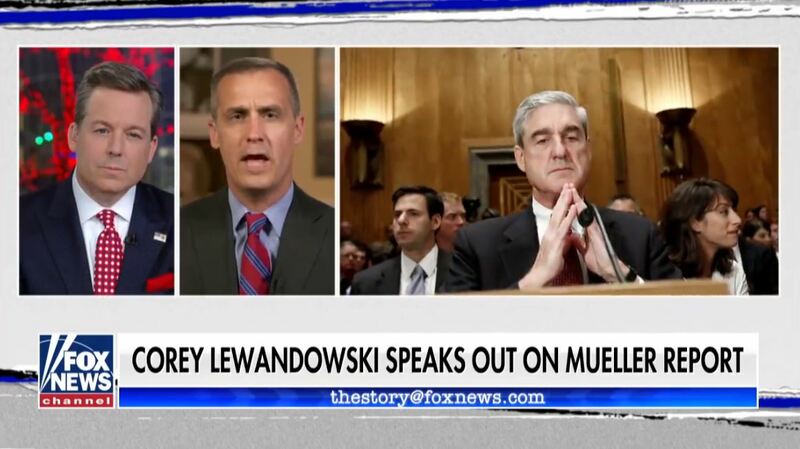 Lewandowski refuted that allegation, however, in an appearance Thursday with Ed Henry on “Fox News at Night.” Henry was filling in Thursday for the show’s host, Shannon Bream. Two days after directing McGahn to have the Special Counsel removed the President made another attempt to affect the course of the Russia investigation. On June 19, 2017, the President met one-on-one in the Oval Office with his former campaign manager Corey Lewandowski, a trusted adviser outside the government, and dictated a message for Lewandowski to deliver to Sessions. The message said that Sessions should publicly announce that, notwithstanding his recusal from the Russia investigation, the investigation was “very unfair” to the President, the President had done nothing wrong, and Sessions planned to meet with the Special Counsel and “let [him] move forward with investigating election meddling for future elections.” Lewandowski said he understood what the President wanted Sessions to do. One month later, in another private meeting with Lewandowski on July 19, 2017, the President asked about the status of his message for Sessions to limit the Special Counsel investigation to future election interference. Lewandowski told the President that the message would be delivered soon. Hours after that meeting, the President publicly criticized Sessions in an interview with the New York Times, and the issued a series of tweets making it clear that Sessions’s job was in jeopardy. Lewandowski did not want to deliver the President’s message personally, so he asked senior White House official Rick Dearborn to deliver it to Sessions. Dearborn was uncomfortable with the task and did not follow through. “This notion in the report that the president asked you to go and help fire Robert Mueller — true or fake news,” Henry asked Lewandowsky. “No, the president never asked me to help him fire Robert Mueller,” Lewandowski replied. “So, did you talk to Robert Mueller’s investigators about this point?” Ed Henry asked Lewandowski. “You know, I have a very candid conversation with the people who were asking questions … I told them exactly what happened … that on numerous occasions, over the course of the last two and a half years, I’ve had the privilege and honor of going into the White House, and speaking to the president, sometimes in private and sometimes with other people,” Lewandowski said. 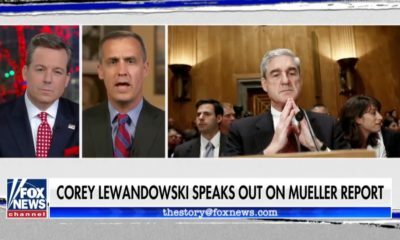 He told Fox News host Ed Henry that he always keeps the content of his conversations with the president private.
.@CLewandowski_ contradicts Mueller, says that President Trump never asked him to help fire Robert Mueller. On Thursday, Fox News Anchor Tucker Carlson praised CNN’s Jim Acosta for one of the biggest self-owns: making President Trump’s case for a border wall. 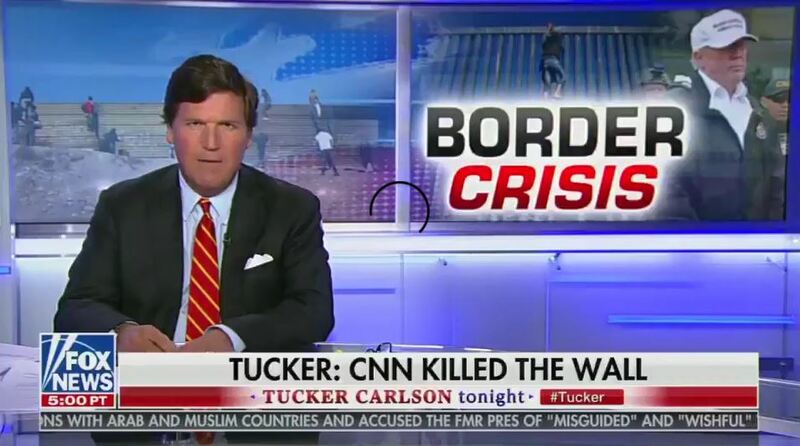 Tucker then begin to play a video, streamed Thursday by Acosta, which showed him idiotically saying that there was no crisis at the U.S. border — an argument he made while standing at a section of the border with a barrier — in the middle of the afternoon. “You see that? Take that, you nativist bigot freaks, you creepy wall obsessives. Jim Acosta just spanked you. He was there, not in some cushy, air-conditioned studio in Washington with the rest of the talking heads,” Tucker continued. Tucker then humorously joked that Acosta was out in the field, doing the type of “hard-boiled shoe-leather reporting” that made him a household name.